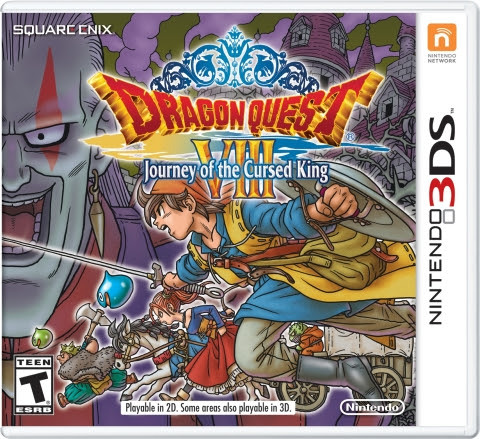 With the new year comes new quests and great adventures, and 2017 will be no different when the DRAGON QUEST VIII: Journey of the Cursed King game comes to the Nintendo 3DS family of systems on Jan. 20. This handheld retelling of the classic RPG will be back and bigger than ever, with two new playable characters, more side quests and the ability to battle monsters on the go. The story begins when a jester, Dhoulmagus, comes to Castle Trodain and steals the King’s sceptre. He then uses its power to turn his majesty into a troll, the Princess into a horse and the castle inhabitants into plants. The only one left unscathed from this attack is a castle guard who escaped the curse and must now step up to save the kingdom he’s sworn to protect. Only by traveling the lands, recruiting allies and following the trail of destruction that Dhoulmagus leaves in his wake will The Hero be able to retrieve the sceptre in order to restore Trodain back to its former glory. As players dive into the rich story of DRAGON QUEST VIII: Journey of the Cursed King, whether they’re visiting for the first time or coming back to relive the adventure all over again, they can enjoy full voice acting in all plot-important cutscenes, and new story content that will provide more back story about The Hero and the villainous Dhoulmagus. Further additions include additional quests to complete and dungeons to explore, and even a new alternative ending. Returning heroes may also find that elements of DRAGON QUEST VIII: Journey of the Cursed King have been streamlined for this hand-held outing. The new Quick-Save function allows players to save and exit the game at any time. And for warriors in a hurry, battling foes is also much faster with the introduction of the “Speed Up” feature, allowing heroes to cut their way through each encounter with much greater haste. Those who wish to capture mementos of their quest to restore peace to the land will now find it’s easier than ever before, as at any time outside of battles and cutscenes players can pause the action and take a photo of their adventure thus far. These photos can be customized in a variety of different ways, including allowing The Hero and his companions to perform special poses, adding stickers and filters, or putting a frame around the image to add a personal touch to their memory. Once the player meets Cameron Obscura in Port Prospect they’ll also be able to unlock Cameron’s Codex, where they’ll be rewarded for taking pictures of certain subjects, monsters and situations. All of these images can be saved to the SD card and shared to other DRAGON QUEST VIII: Journey of the Cursed King owners via the StreetPass feature. Once these photos have been shared, other players can give them a thumbs up, and the more of these the image earns, the higher the chance of receiving a new item. 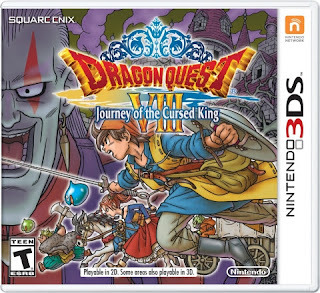 For more information about DRAGON QUEST VIII: Journey of the Cursed King, visit http://www.dragonquest8.com/.